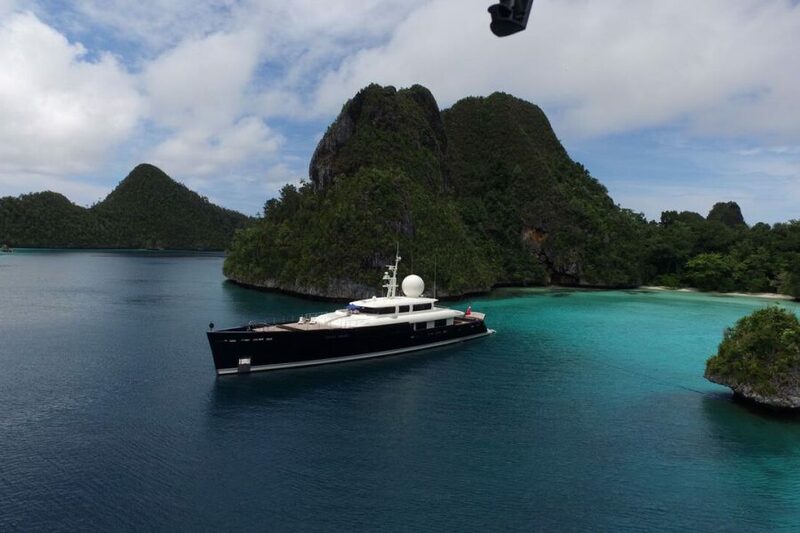 "Asia Pacific Superyachts Indonesia is proud to announce the opening of our Raja Ampat branch office", reports Managing Director, Richard Lofthouse. APS Indonesia, who celebrate 10 years of operations in Indonesia later this year, was the first company to offer specialist superyacht shore support in the vast archipelago of Indonesia. Now they become the first to open an office in the amazing Raja Ampat area, supported by their HQ in Bali. "This is a huge but logical step for us" said Lofthouse, "The team we have up in Raja Ampat have years of experience with us around Indonesia and all are from the area originally which gives us a massive advantage in local knowledge and a strong operational presence on the ground." Fitri Dewi who has worked for APS Indonesia since she was 19 years old and is well known to Captains everywhere is the Operations Manager, backed by GM Thomas Taatjes. The APS Raja Ampat office is in the harbour of Sorong and perfectly situated. There are plans for a second satellite office in Waisai to open later this year in the middle of the National Park. "Basically we aim to give the most comprehensive coverage we can to our clients based on our experience and resources being the most advanced in Indonesia," said Thomas Taatjes, GM, "Not only does this mean greater efficiency, it also means greater control of operations and costs for our clients which is key." The new Raja Ampat office is off to a great start with a 120m, a 75m and a 95m yacht already having visited in late 2017 and more due for 2018. APS Raja Ampat is now firmly on the map! The Asia Pacific Superyachts network covers 18 locations in 15 countries and is the leading provider in Asia-Pacific for superyacht services.